The omega-3 fatty acids found in fish oil have a plethora of proven health benefits. Docosahexaenoic acid (DHA), one of those fatty acids, has been found to be particularly useful for brain health. 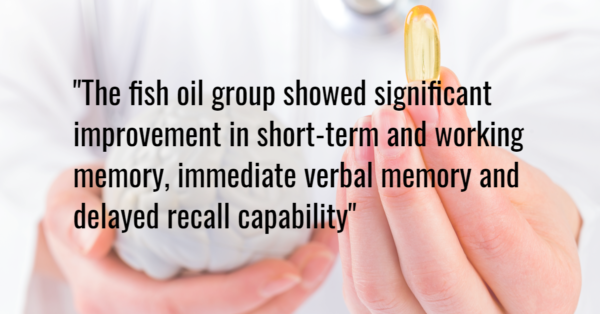 DHA has been shown to increase cognitive function in people with mild cognitive impairment. Studies also show positive effects of fish oil for Alzheimer’s patients. Supplementation was shown to reduce cognitive impairment, and even slow the atrophy of the brain associated with Alzheimer’s disease. You do not have to be suffering from any form of cognitive impairment to reap the benefits of omega-3 supplementation. If your diet is low in omega-3 fatty acids, supplementation with fish oil could help improve your memory and increase reaction time in healthy subjects. You can increase omega-3s by upping your intake of fatty, cold-water fish like salmon, tuna, herring and mackerel. Be conscious though! Two of those species may be very high in heavy metals and other toxins. When supplementing with fish oil, choose a reputable company who tests for toxins, including heavy metals, in their products and gives you access to their data, like this one. I’m a really big fan of supplementing with B-vitamins in my practice. They’re water-soluble vitamins that get depleted easily by many lifestyle factors and medications, they’re inexpensive to supplement and they can really make big changes for people. They’re surely in my top 5 supplement choices. Methylcobalamin, commonly known as B12, status has been shown to be associated with cognitive performance and brain volume. Yep, you heard that right; B12 can affect the size of your brain. Supplementation with B12 and folate (another B vitamin) could also help prevent cognitive decline. 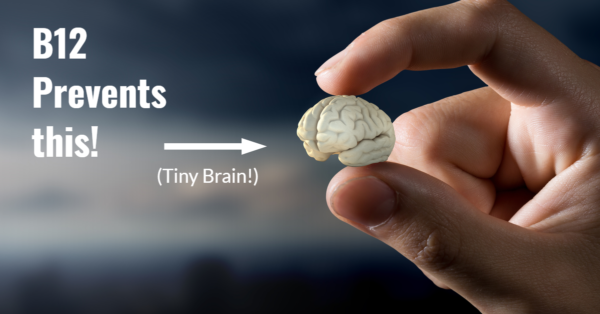 So B-vitamins can prevent cognitive decline and give you a bigger brain? No brainer right? You can take isolated B-vitamins, but they’re all so great why be choosy; take them all! Choose a good quality B-Complex, with the studied formats of B12 and folate (they are not all the same). While supplementing with B-vitamins is generally safe, there are some cases where you should monitor dosing, so consult your health care professional before taking high doses. Phosphatidylserine is a fatty substance found in the brain. It acts like a coating over your brain cells to keep them safe and help them to transmit messages between each other. The levels of this substance can decrease in your brain with age and lead to issues with memory and cognitive function. Supplementing with phosphatidylserine has been shown to provide positive effects on cognitive performance in patients with memory complaints. In another study, delayed recall was shown to be significantly improved after just 6 months of supplementation with phosphatidylserine. You can supplement with phosphatidylserine from bovine (derived from cows) sources, though this may carry other risk factors. Phosphatidylserine can also be extracted from soybeans and may prove a safer and more cost efficient method. Choose a supplement made from non-GMO soybeans for the healthiest option. Say that 10 times fast! 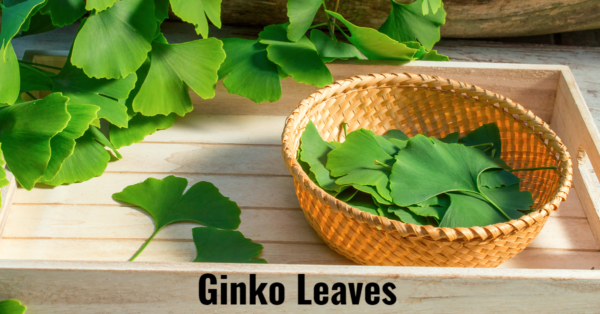 Ginkgo supplements are derived from the leaves of the tree by the same name. Fun fact: ginkgo trees are, in actuality, a living fossil. There are specimens found dating back over 100 million years that are nearly identical to today’s living trees. Ah, if trees could talk… These wise old leaves may help keep your brain wise and old! Ginkgo supplementation has been shown to increase blood flow to the brain. Increasing blood flow to the brain can help prevent and treat memory loss and Alzheimer’s disease. Supplementing with ginkgo may also help elderly patients increase their cognitive performance. Ginkgo can be supplemented in liquid or capsule form. If you are taking any medications, please consult with your healthcare provider before starting herbal medications like gingko. I don’t want to “leaf” ginkgo alone. Ashwagandha (Withania somnifera) is another potent brain booster derived from the leaves of a tree. Ashwagandha is a traditional Ayurvedic herb, possibly the most popular Ayurvedic herb in the Western world. This herb has been used for thousands of years to calm and normalize the body and reduce stress. Ashwagandha may also serve to be neuroprotective. This means it can protect the brain from damage by various factors. This may be due to the herbs ability to assist the brain in differentiating cell types. There is potential that the brain could reverse symptoms of Alzheimer’s and Parkinson’s disease by helping the brain to regenerate the proper types of cells. Ashwagandha can be supplemented in many forms, though you may have the best result with products containing a standardized extract. A couple great options are this liquidor this capsule. Bacopa is another long-standing Ayurvedic herb traditionally used for neurological and cognitive improvement. Bacopa is the brain herb for all ages. Supplementation with Bacopa showed significant improvement of mental control, logical memory and paired learning a 12-week treatment program for age related memory loss. 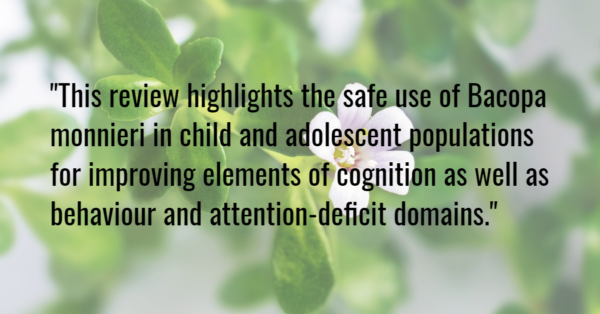 In a study of 512 healthy individuals, Bacopa improved cognition, particularly speed of attention, reflected in a reduced amount of choice reaction time. Uh, I could have used this for a board exam (or four). Bacopa may also be helpful in children and adolescents for improving memory span and symptoms of ADHD. Again, bacopa may be supplemented in various forms. Be sure to consult a health care practitioner regarding potential drug interactions and for proper pediatric dosing. L-Theanine, or theanine for short, is an amino acid found most commonly in tea leaves. Theanine is known to have a “relaxing” effect on the brain without the tendency to drowsiness. This is because theanine stimulates alpha band activity in your brain, providing a relaxed state. Alpha activity in the brain is associated with a “relaxed alert” state, which plays an important role in attention. L-theanine in combination with caffeine shows effects of reduced anxiety and benefits to working memory and attention. You can drink your theanine in the form of organic green tea. If you’re attached to your coffee (raises hand), you can also supplement l-theanine to reap the benefits. Acetyl-L-Carnitine (ALC) is another amino acid found. ALC is produced in the body and is an important building block for protein and energy production. 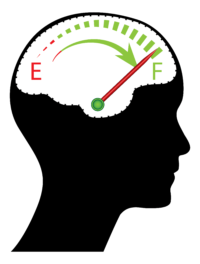 In a study of patients suffering from mild memory impairment, acetyl-L-carnitine treated patients showed statistically significant improvements in behavioral scales, memory tests and attention tests. ALC also hold promise in improving cognitive impairment in patients with Alzheimer’s disease. Dosing in the above studies varied, though one study used a dose of two grams daily. You can supplement with two grams in capsule format (with multiple capsules), or opt for a powder format for cost and convenience. Yeah! We discussed this one before when we went to Italy to fight inflammation! If you missed our trip (too bad for you), you can read more about that here. As a quick review, resveratrol is phytochemical, part of the group of compounds called polyphenols. Polyphenols are thought to act like antioxidants in the body, reducing oxidative damage and inflammation. Resveratrol is found in peanuts, berries and in the skin of red grapes. While resveratrol can reduce overall inflammation, it can actually boost brain health as well! The memory center of your brain is known as the hippocampus. 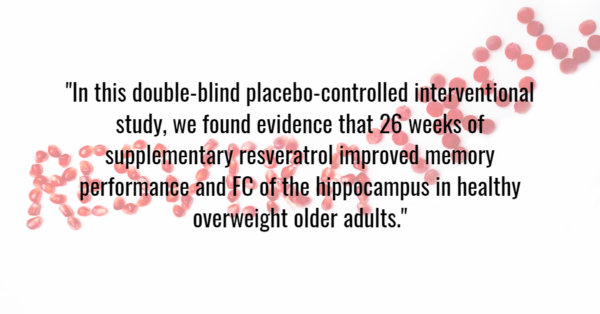 Supplementing with resveratrol is linked with the reduction of several age-related changes such as decreased growth of new brain tissue and low-level inflammation in the hippocampus. These results suggest that supplementing with resveratrol is beneficial for maintaining normal memory and mood function in old age. If you’re not yet classifying yourself as “old”, resveratrol has you covered there as well. In a 26-week study of healthy adults, resveratrol supplementation proved to improve memory performance. Anti-inflammatory and boosts brain power? Don’t forget this one… While red wine does contain resveratrol, drinking enough to get the dose you require will leave you with other issues to deal with in the morning. Better to opt for a quality supplement with standardized extract for guilt-free results. Cistanche is a hardy, small shrub that grows in the desert regions of Mongolia and northern China. In Traditional Chinese Medicine, the herb is known as Rou Cong Rong, and it is used to treat kidney yang deficiency and tonify kidney yang. In Western medicine, cistanche is proven to be a double-edged sword to fight neurodegenerative conditions like dementia and Parkinson’s disease. The herb can increase nerve growth factor, which can increase quality and differentiation of brain cells. On the other side, it has also been studied to improve brain function by preventing death of neuronal cells, particularly when this is related to dopaminergic neuron loss (as in Parkinson’s). So it helps keep brain cells healthy and keeps them from dying, what’s not to like? When supplementing with any Chinese herbal preparation, be sure to purchase from a reputable source and brand, as herbal preparations may contain fillers, pesticides or toxins. You can take cistanche in a standardized extract capsule, or if you prefer a more traditional TCM preparation (like me), you can use a granule form and add it to warm water. Rhodiola rosea is a succulent plant that with bright yellow flowers. It’s adorable! Do it, Google it. Rhodiola is commonly used as an adaptogen for purposes of stress resistance. Rhodiola may also be a buddy for your brain. That adaptogenic effect of reducing stress can have a positive effect on your productivity as well. Supplementation with rhodiola can decrease mental fatigue and increase capacity for mental work output. Constituents of rhodiola may reduce toxicity and inflammation in neuronal cells. This makes it clinically useful in the treatment of neurodegenerative diseases. So it soothes and detoxes your brain. It’s like a fully kitten for your brain? I told you… adorable.